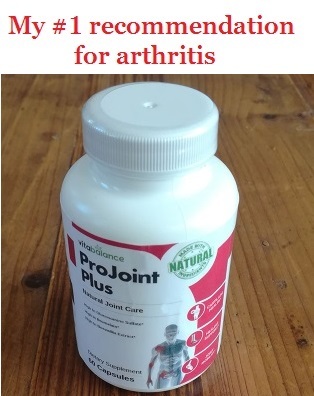 Welcome to Cure My Joint Pain, a website designed to offer advice, product reviews and information regarding joint problems and chronic pain. 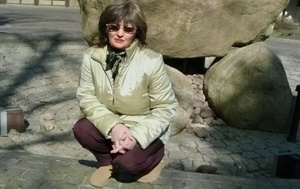 My name is Heather T. Foley and I have been dealing with chronic pain and arthritis myself. I am also a pharmacist with a degree in Pharmaceutical Sciences, so I’m familiar with the medical area. While creating this website, my goal was to provide high-value content regarding joint and health problems. For this reason, Cure My Joint Pain focuses on its readers and helps them improve the quality of their life. Answer all your questions about a certain joint condition. Offer an additional opinion (besides the one of a specialist, which I fully advise you to consult before). Advise you about the best herbal remedies/lifestyle hacks for your problems. Give an honest opinion about different brands or products. Help people educate about joint health. All the articles on this website are created after a long research. You can find many references to science journals, research websites, studies and clinical trials. So the information on this website is based on official and scientific sources. As I said before, I have graduated from College of Pharmacy with a degree in Pharmaceutical Sciences. I have several years of experience in the pharmaceutical field. I am also suffering from 2 forms of arthritis (rheumatoid and osteoarthritis), which made me even more interested in this medical area. For this reason – I am trying to combine personal experience with medical skills and scientific research, in order to create a helpful review of certain products. I do not claim to know everything about a certain product, which is why I accept comments, feedback and opinions from my readers (both positive and negative). In fact, I would be willing to hear them. You can find me on several social media platforms including Linkedin, Twitter or Pinterest. You can also contact me via email and I will gladly assist you with any questions, as long as I can help. As I said, its main purpose is to offer tips and advice about joint-related problems. The articles will educate you on how to improve your condition, your pain and your everyday life. All the articles on this website are meant to help readers directly – so there is no information that you cannot apply. Also, the reviews are designed to save your time and money from the wrong products. Instead, you will find out what is the best product for the price and what ingredients are most recommended for your condition. Besides, you will be able to tell the difference between a scam and a legit product – as there are lots of scams among joint and health products. As I mentioned before – every article on this website is written after a deep research and in some cases, a real testing. Also, other people’s opinions, prices and experts’ views matter as well in the reviews from this website. So putting together personal testing, deep research and expert opinions, the readers get the chance to view a product as it is from the inside (not just from the outside). Judging after the feedback received, this is a extremely useful. Some of the products on this website contain affiliate sales links. This means that if you make a purchase, I will receive a small commission (at not extra cost for you). However, this has nothing to do with the recommendations you will find here. The top recommended products have clear advantages, which are explained thoroughly. So certain products aren’t recommended due to a relationship with their company or similar things. The content published on this website is intended for informational and educational purposes only regarding joint health. It does not replace any advice provided by a doctor or by another medical specialist. For this reason, it should not be used in your decision-making process in relation to the treatment of joint health conditions. Do not do anything as a result of anything you read here. Always seek individual advice from your own doctor or medical professional with necessary qualifications on all matters relating to your health and well-being. Do not use information from this website to treat or diagnose any health-related issues before consulting your doctor. While I make every effort to ensure all posts are accurate, no information here is intended as the ‘final word’, since in medicine something which is accepted as a fact today may be considered totally wrong in the close future. I cannot be held responsible for any information that is missing from this site, or for any incorrect information found by following a link on this site. The articles and opinions are all provided in good faith.